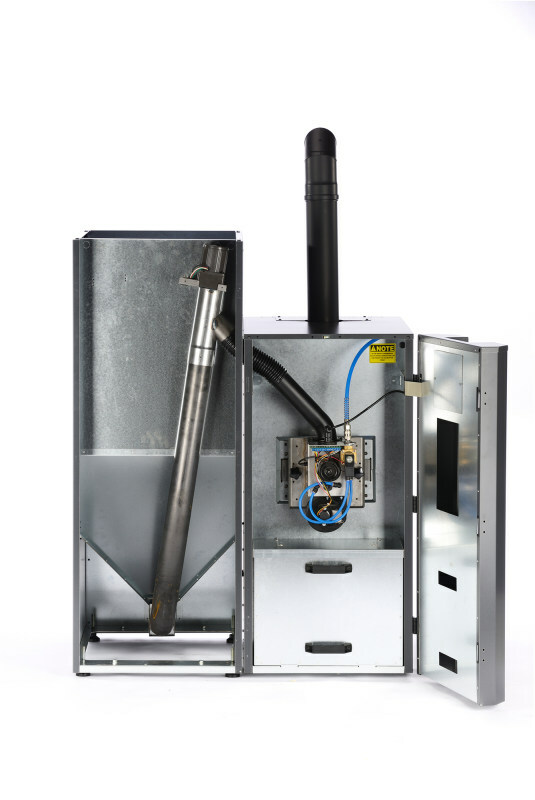 The RTB pellet boiler has a cleaning system that makes it so easy to be an owner of a pellet boiler that you only have to empty the ash can after 2-3 tons of burned pellets and only has to be cleaned once a year by hand. The cleaning system includes compressor cleaning which, until now, only has been seen on bigger commercial pellet boiler systems. The compressor cleaning system will have a cleaning routine at the end of each burning period of 30 kg burned pellets and it will clean both the burner head and the boiler. Using this fully automatic cleaning system, the user will not have to spend any time on cleaning – only enjoy the nice heat coming from Co2-neutral heating. 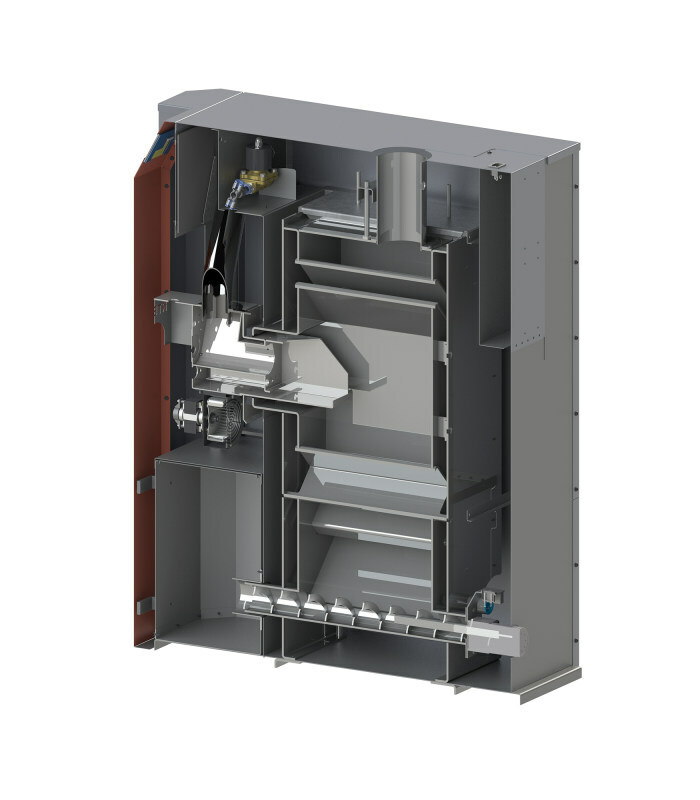 Most modern pellet burners today are able to modulate between 10-20 steps over a heat range from 30%-100% of power. The greater the number of steps the more accurate your system is at producing the heat demanded by the home. Due to our sophisticated controls and our highly accurate dosing of pellets via an internal auger, our burner can produce heat at an amazing 90 steps and over an impressively wide heating range from 10-100% power. 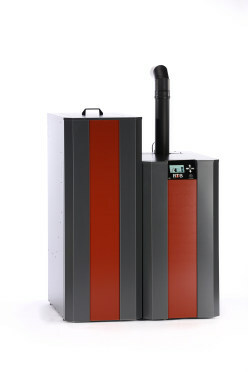 At NBE we see the potential of offering cheap, Co2-neutral heating for commercial use as well. 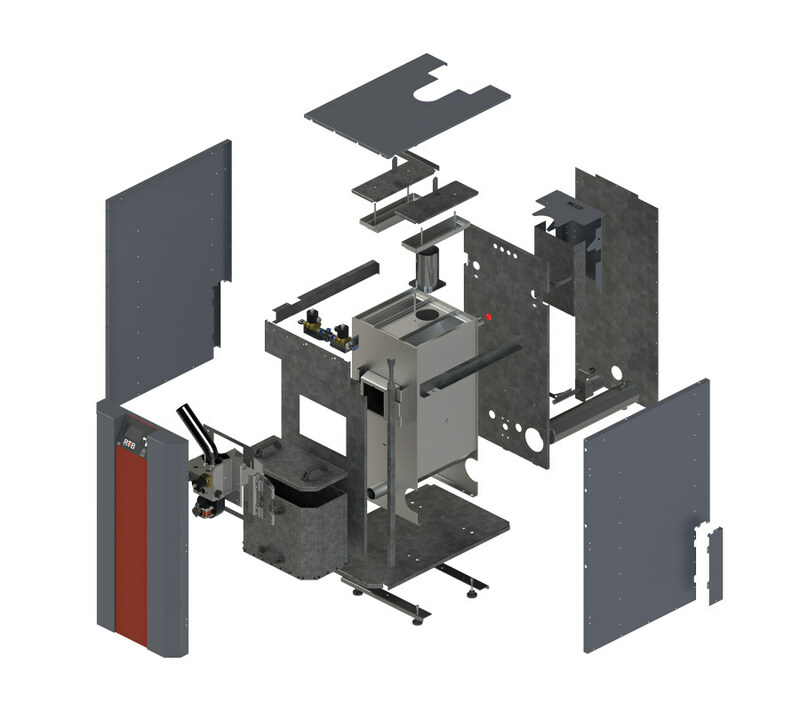 Our RTB Cascade system allows you to combine up to 8 boilers in one cascade system – giving you the opportunity to heat with up to 400 kW at once! This is enough to heat any midsized commercial building. 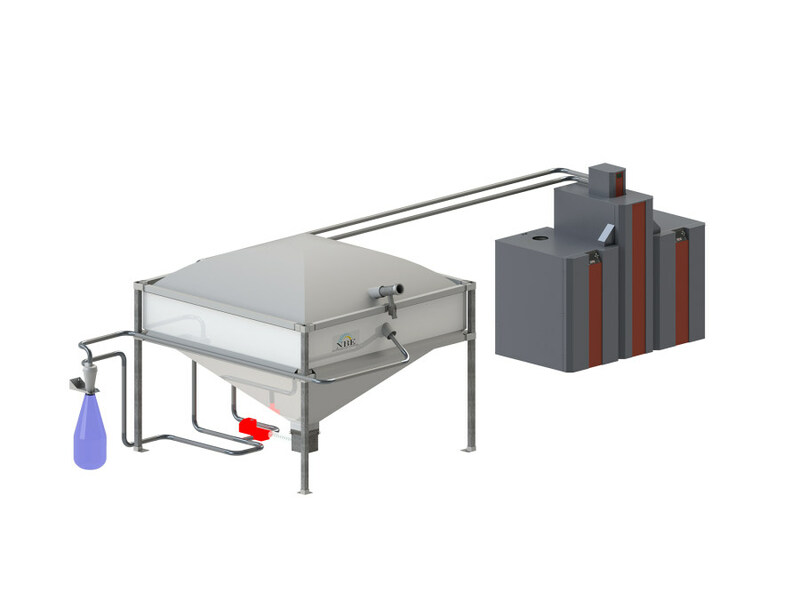 The RTB Cascade system can be coupled with our vacuum transport system that can automatically transport pellets from a large silo to the boiler. Thanks to our online StokerCloud program for cascade systems, these systems can be monitored online for diagnostic or commercial management purposes. If one boiler goes down – the other boilers automatically take over until the broken boiler has been fixed, versus using one big boiler having a breakdown, resulting in no heat provided. Heating capacity up to 400 kW – for now! Online monitoring through StokerCloud – diagnostic, technical and commercial management solution thanks to our service desk solution and dealers’ service contract with customers. Stepless modulation down to 10 % on one boiler up to 100 % of eight boilers 5 – 400 kW.